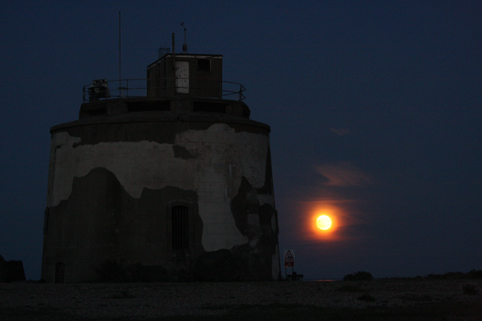 The moon rising this evening by a Martello Tower on a Sussex beach. Those colours are as I took them - no tweaking with Photoshop at all. Had to post! Beautiful! She was gorgeous and yellow when she came up in the Bahamas here too. Nice shot. Thank you Sarah! How lovely to be in the Bahamas!